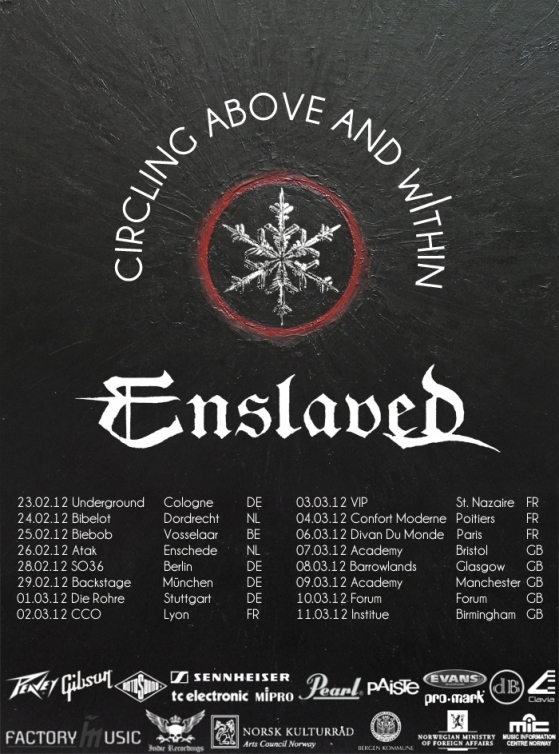 In February and March 2012 Enslaved will tour Europe again. Now as the year is coming to an end we can all agree that this as been quite a year for Enslaved. 2011 was kicked off by winning best metal album for Axioma Ethica Odini at the Norwegian Grammys (Spellemannsprisen), and since then Enslaved has been on the road most of the year visiting Europe and North America. They were invited to the Destroyers of the Faith tour with Cannibal Corpse, Triptykon and Job for a Cowboy and received a honorary award from Norwegian Artist and Songwriters Association.